Real marble is beautiful but it is also expensive to buy and to maintain whereas porcelain and ceramic tiles have almost zero upkeep. 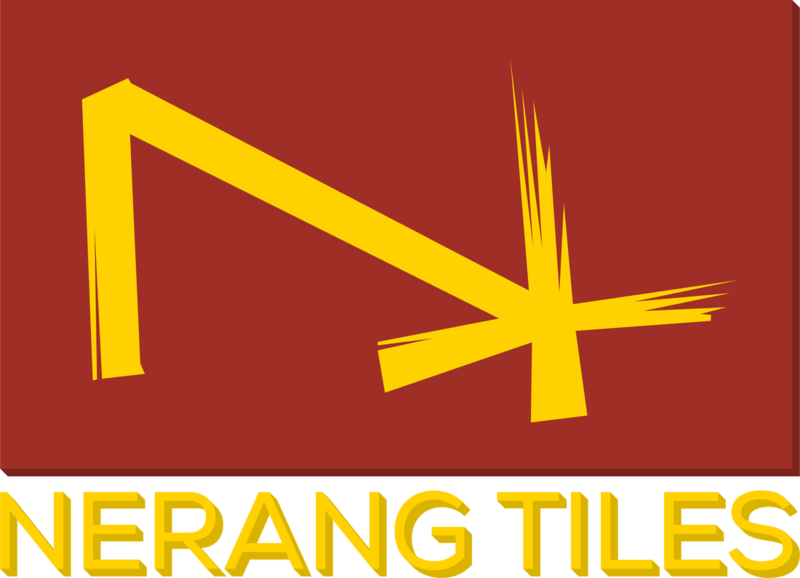 Nerang Tiles stocks Queensland's largest range of marble look tiles, the look of real marble with the zero upkeep of a porcelain or ceramic tile. The latest trends from Italy and Spain are available now at Nerang Tiles in a range of finishes, formats and designs to suit any area of a home or commercial premises. Tile your bathroom, kitchen or living area with a real look porcelain marble tile. Not sure what design to use ? These seamless large format thin slabs will stretch the horizon of your space, from floors and walls, to showers, bench tops and vanities. These beautiful Statuario slabs in polished or honed finish in a huge 1200x2400 or a large 1200x1200mm will make fulfill any of your design aspirations. Natural marble tiles have been the pinnacle of elegance for centuries, as they are hard wearing, charismatic and bring a sense of luxury and grandeur. In recent years porcelain tile technology has allowed manufactures to perfectly replicate the texture, veining beauty and character of natural stones into a hard wearing, stain and scratch resistant and environmentally friendly porcelain tile. The porcelain tile is defined as a ceramic product that has been baked at high temperatures to achieve a glass like, permanently hardened, virtually non-porous material. Porcelain tiles are manufactured from a highly technical blend of natural raw materials. The high tech process of making porcelain tiles involves fusing raw materials together using intense temperatures and extreme pressure, much like the accelerated version of the process that natural stone and marble undergoes in the ground over thousands of years. The technical process combines natural raw materials to form a new material in both slab form and tiles. This results in an ultra-compact surface that is virtually indestructible. A bonus is that the process and therefore porcelain tiles contain no harmful chemicals or resins. Tiles are environmentally friendly and a completely recyclable product that is lightweight, resistant to high temperatures and ultra violet light, and is largely unaffected by wear and tear. It does not stain and is not damaged by harsh chemicals. Now natural / real marble tiles are incredibly beautiful aesthetically and are always unique. You will never find two natural marble tile surfaces that look exactly the same. Natural marble gives the sense of grandeur wherever it is laid and is also heavier than porcelain tiles. However natural marble tiles have very high maintenance requirements. Marble is also porous, which means it can be stained, scratched and worn easily. A small spill of coffee or mustard can ruin a brand new natural marble floor or countertop. Having natural marble tiles means that you will be required to get a true stone professional to refinish the natural stone as required by the type and finish of natural stone you have selected. The idea of being able to use a hard wearing product with little to no maintenance that gives all the aesthetic beautify and elegance of natural marble seems dreamy. However this is exactly what porcelain tiles are offering. A porcelain tiles’ ultra compact surface, UV, scratch and stain resistant surfaces that imitate the natural beauty and variation of natural marble is exciting designers and homeowners alike – and the list of application for these tiles are astounding. There are numerous areas in our homes for which porcelain slabs and tiles can be used, both indoors and outdoors, with no special sealing or treatment required. The porcelain tiles that imitate natural marble available today are inspired by some of the world’s most elegant marbles including crema marfil, Calcutta, travertine, carrara, granite, grey stone, quartz and much more. The range of breathtaking collections delivers the fine beauty of marble in a functional and versatile form. Marble porcelain tiles also come in a range of sizes from 300x300 to 1.2m x 2.4m and are capable of being laid on both floors and walls to create an expansive, continuous surface with minimal grout lines. There is no doubt that there has been a surge in the demand for marble look and stone effect tiles in recent years. This is due to the advances in printing technology that have allowed tile factories to create much more realistic and sophisticated tile products. When combining this with the consumer's demand for low maintenance products, it is easy to see why marble look and stone effect porcelain and ceramic wall tiles and floor tiles are so popular. Everyone seem to have such a busy lifestyle at the moment which is why we think marble look and stone effect porcelain and ceramic floor tiles are so popular. Porcelain tiles are durable which makes them suitable for high traffic areas of the home. Porcelain tiles are also much easier to look after and clean than natural marble and natural stone equivalents, which generally require sealing or ongoing specialist treatment. With porcelain tiles undergoing a very hardous manufacturing process using only natural and environmentally safe products, it is easy to see why they are the popular choice. Porcelain tiles are clay fired at extremely high temperatures, which makes the tiles much harder, denser and less porous than natural marble. This means that the porcelain tiles are less susceptible to damage from the elements than natural marble or natural stone. This means they need less maintenance and are harder wearing, and they don't require sealing or treatments to keep their look or finish in top condition. Porcelain tiles are also produced to specific standards both internationally and within Australia. This ensures the utmost highest consistency in quality and uniform sizing, while virtually eliminating defects that would occur with natural stone, making them easier for the installer to lay and much harder to chip or crack. Nerang Tiles has one of the largest porcelain marble tile ranges in Queensland at its Gold Coast Tile Showroom. Displaying a range of sizes, finishes and colours of porcelain tiles that imitate natural stones such as carrara, statuario, Greystone, granite, quartz, travertine and much more. Visit in store to see the entire range and ask about the range of marble tiles, the number of patterns available and how best to implement the design into your home or commercial space.